Pretty Things: Tell Me What to Write! It's no secret that I love to write. So this post I'll ask you to comment below with what you'd like me to write about. I'll save these ideas and write over the months on your subject. I like your writing about life. You have a lot to share about what's happening in your life and you're very honest. I love that. I also like your writing about jewelry -- the business, the creativity, the people. I guess what I'm saying is that I like what you're already doing because it's why I keep coming back every day. Lori although I don't always comment I love reading your blog about your life, family, business, creations, classes, etc. I would love to see posts about your business. Tips, suggestions, successes, less successful experiences, etc. I love to read what you write. . .whatever it may be, but I don't know what to write myself. So, I'd rather not dictate what someone else writes. Sorry. . . I would love to hear some stories about the military and Korea! Lori, all your posts are great! Really interesting and informative. I would love to hear more about the fairs that you do and how you decide which ones to attend. I also like to hear about your antique collecting. Because I have none and I want it. And I am not talking about walking a straight line kind of balance. I"d like you to keep sharing your stories of hope and inspiration, and also tales about your beading and what inspires your creativity. how's that for starters?? lol! I love al your posts - really, I feel like I am an old friend. So just keep sharing from your heart like you do. Any rules or hints about how you keep blogging consistently, (even when I know you don't have a lot of time for it)? Any tips about building an on-line business sucessfully? I am amazed at how much you read...are you a speed reader? I love to read but I love to do so many other things too. More about your reading habits...best book ever, favorite writer, etc. You write from the heart which is why you write well! Just keep writing from the heart and it will be great! No help from me I'm sorry to say as I struggle with blog ideas to write about, but I always enjoy your posts so please keep doing what you do, inspire, entertain, and inform us with your words and photos Lori. Hi Lori! I love when you write your inspiring posts, they always seem to come at the right time. (still striving) And I love your field trip photos! I want to start doing juried shows- I would like to know how you started. What are the on-going challenges. How you decided between tables and closed glass cases. Mostly- how can I get cheap pipe and drape systems for a booth (what size and what to look for when shopping.) Lights for your shows. Basically I am looking for a detailed post on getting started on a booth. 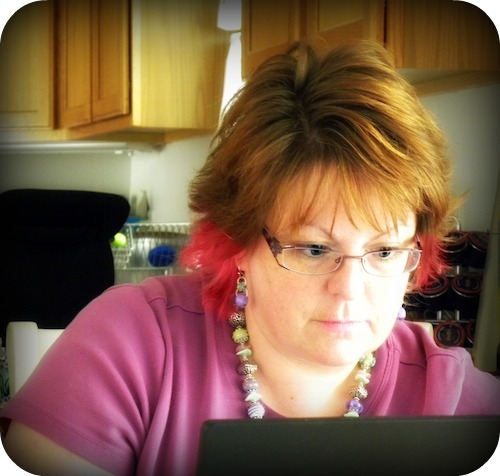 Lori, I love the mix of things you already do on your blog. I know that's not very helpful. But I can tell you that I read everything that you write. I don't always comment. My plate is pretty full these days. But I love your balanced approach to jewelry, inspiration, and day to day life. It's what makes me tune in because it makes you a very real person. And that is one of the things I love most about the connections we all make through blogging. Hi Lori, I love reading what you have to write and you offer great tips and suggestions for all of us bloggers and designers but you also touch on the sentimental side which I believe endears you to all of us. I think something I would really like to know and have you write about is how did you begin your business when you had a little one? That is something I face with trying to keep a household together which sometimes looks like a volcanic eruption, to trying to raise happy healthy kids to putting a good supper on the table, to doing laundry and the list goes on, how did you find the time to grow and successful business and raise a great kid and have a happy marriage. There's got to be at least one blog entry's worth of story about the hair, right? And if you already posted i - i' m sorry I'm so behind LOL! I wish I could help you with ideas, but I'm struggling to come up with my own blog topics right now. I think you've always done a fabulous job (bead soup is genius!) so just follow your instincts and you'll come out right! Lori I always like reading your posts. You cover so many topics and all of them are so from your heart. That is what I like best about you. Your pink hair still rocks! Thank you for being YOU!!! Hi Lori - you obviously love books so i'd love to know about some of your all time favourites or books that have influence or affected you in some way. I'd love for you write about how you organize your finished jewelry! LOL You're too cute! Seriously, anything having to do with the business of art would be perfect ... I'm sure I've been a big help! I love reading when you write about your son, the pictures and the way you tell his story just pulls us in! Love all of your blog posts! I enjoy the eclectic nature of your entire blog. As for jewelry making, I'd like to hear details or stories about any classes you take: what you learned, any new techniques you discovered and the people you networked with. I don't have access to a lot of master classes. When you stumble across an intersting artist, please continue to share. Also, would love more details about your shows: prep, sales stores, fun you've had, problems, how you design your displays, what's selling well, etc. As for personal details:love your stories! Keep them up! I too would like to hear rules/hints about how you keep blogging consistently. I like your blog the way it is now, it's real,from the heart,enjoyable! Lori, I love all that you write! The stories about the family, time in the military, your daily life and your business are awesome! #2- Your strengths, your goals, your accomplishments and your visions/ideas. #3- Your garden, the things you harvest, the things that grow, animals and creatures that visit your garden. #4- The water- do you still take kayaking trips? #5- New beads you find or make. #6- Your surroundings!!! I am always so very much inspired by the things in your office and home. I love your style and taste in "stuff"- which is what hooked me to your blog in the very beginning! #7- Stories from your past. I also very much enjoyed the fact that you would share your history and travels. :o) Thank you for asking! #8- Things you like to wear! What do you enjoy wearing? What jewelry pieces do you wear often? Stuff like that! I love reading about what you are thinking about and doing. No assigned reading this time. I'm so glad you write Goodreads. At last someone who reads as much as I do.